SONA 2015 won't be complete without netizens talking about fashion - those gowns and outfits worn by Senators, members of the Congress and other big names who attended the annual ceremony. 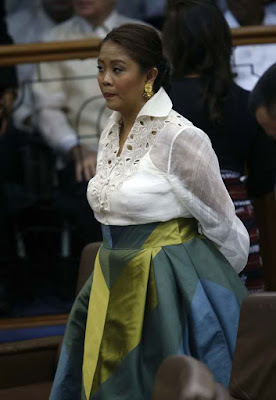 Like a true fashion expert, many people are once again debating whether Senator Nancy Binay's SONA 2015 gown designed by Randy Ortiz was fashionable or not. Did she deliver? You be the judge. Last year, Senator Binay received much bashing from netizens because of her Shrek-like outfit made by the same designer (Ortiz). But the lady Senator seems like she doesn't care anymore about what the people will say about her gown this year. 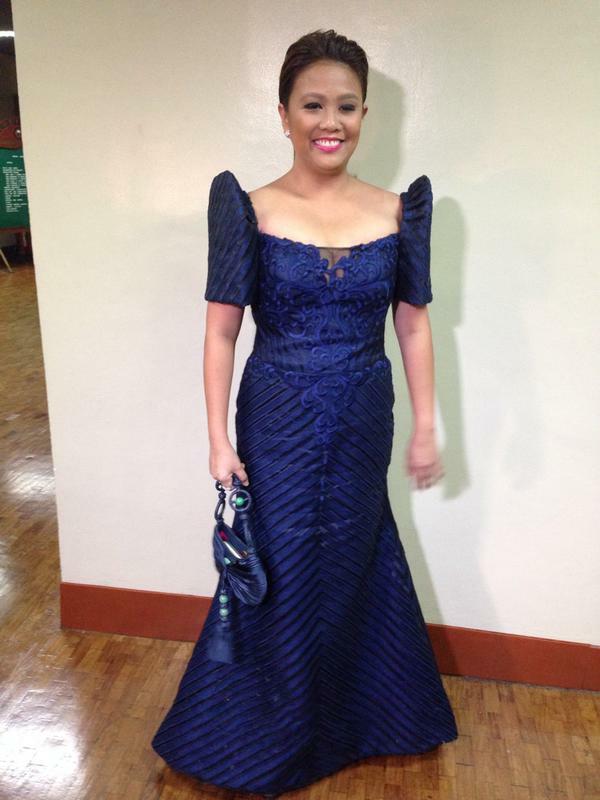 In an interview, she said that people will still bash her no matter what she wears during the SONA. Very true. And it's not surprising that she made it to the Twitter's top trending topics again because of her gown.